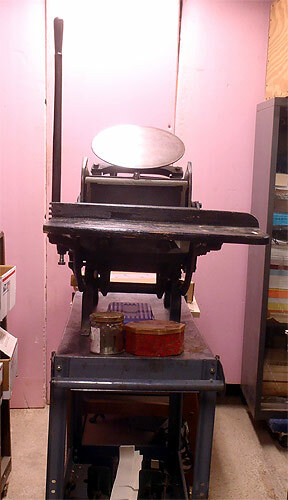 In working condition, and last used for numbering by an older printer who decided to retire. It was in service and it works, but it's pretty much ink-stained, and may have been repainted (badly) It's in need of some clean up. Ink disk - with scratches. This will be resurfaced. 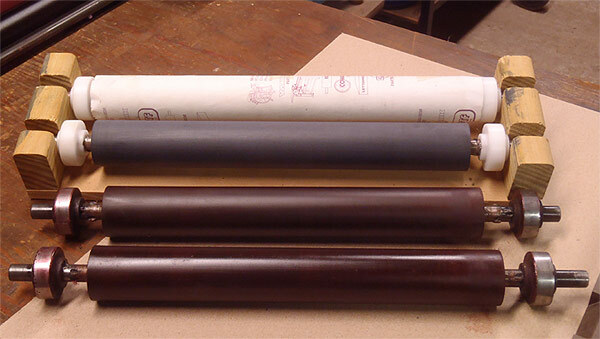 I will make a new link that will be fit to the press so that the rollers clear the chase, but do not rest on the lower frame. I'd have expected more attention to detail from Chandler & Price, but apparently, they didn't always get it just right. 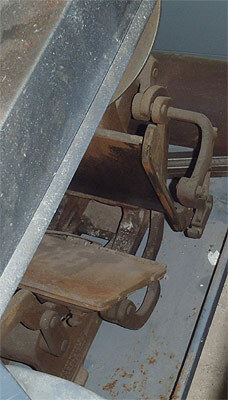 But, to be fair, a variation of just a few thousands can change the resting position of the rollers. Wednesday - Sandblasting Chase Bed & back of ink disk. 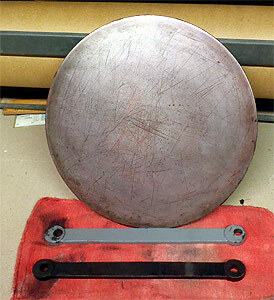 3) Ink disk rear view - after sandblasting. And, now that the chase bed has been sandblasted, we can see the serial number - P327 - which we have not yet been able to date. 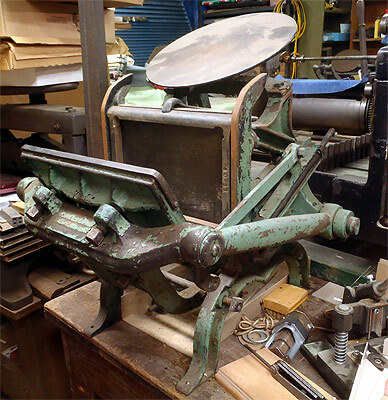 The common listing of C&P serial numbers does not include the Pilot presses.. BUT. If the number is any indication, and if the "P" stands for Pilot, this could be one very, very old press... We don't know exactly what year C&P began making the Pilot themselves, but this press was originally designed by Mr. Thorp (at least he got the patent) around 1884 or so - when he was at the Cleveland Type Foundry. CTF was absorbed by American Type Founders around 1892. They advertised this press in their 1897 catalog. Sears Roebuck also advertised this press about the same time. C&P was founded around 1884. 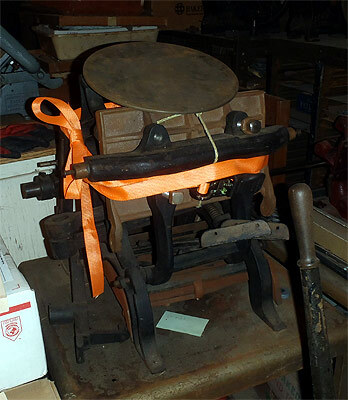 This press could be one of the first made by C&P... Still a mystery to be solved. 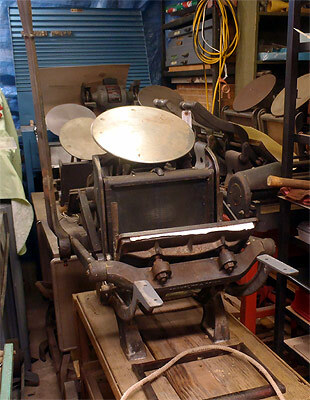 In any case, this is one very, very old press - and definite part of platen press history.